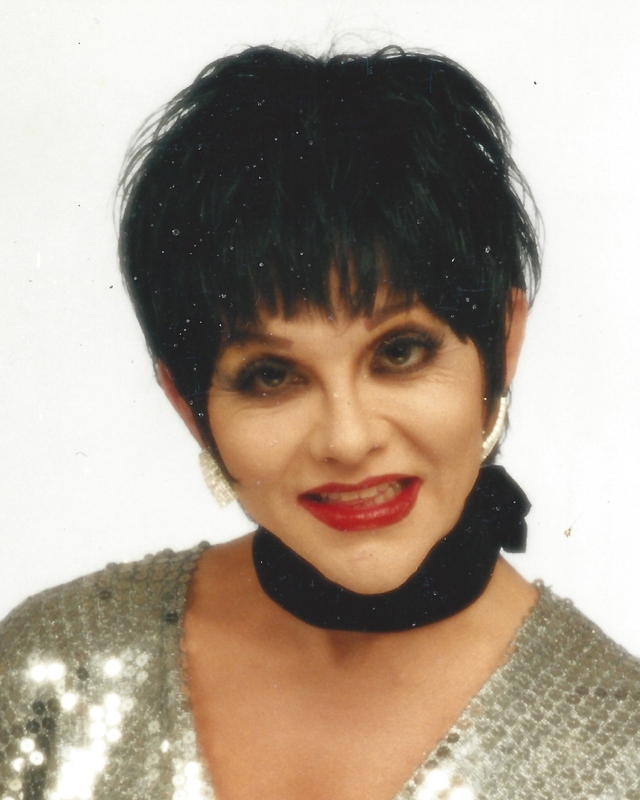 Lisa Beaumann, a New Orleans performer best known for her illusion of Liza Minnelli, “made her mind up back in Chelsea, when I go, I’m going like Elsie.” With great fanfare and flourish, Lisa—who heard the music play, and who lived her life in a cabaret—sashayed away on November 29, 2018, after a yearlong battle with cancer. Her life partner of sixteen years (2002), Marcus Martinez of Mississippi, survives her. Lisa was born Riley Bowman Wright, III, on June 24, 1953, in Winnfield, LA, to her late parents, Riley Bowman Wright, Jr., and Lee Ovill Berry Wright. She is survived by her sister, Olive Wright Nicolosi, one niece and three nephews: Sharon, Travis, Kevin, and Keith. In 2016, she lost her other sibling, Cherry Wright Meadows. She attended Haughton High School and graduated from Louisiana Tech University in Ruston with a Bachelor of Fine Arts in speech, with concentration in theater. Lisa started performing in Shreveport and later moved to New Orleans where she made her drag debut in 1973 at The Cabaret. Like many aspiring artists, she travelled the world to gain experience. Lisa headlined in Memphis, Nashville, Paris, and Berlin—among other cities over the years. Her strategy paid off. She was crowned both Miss Gay New Orleans and Miss Gay Gulf States in the early eighties. In the mid-eighties, she went on to compete in the Miss Gay America pageant representing Tennessee, where she lived briefly. Early in her career, Lisa lit up the stage at a variety of show bars in New Orleans, including Travis’, The My O’ My Club (French Quarter), and other venues for shows, special events, and fundraisers. A full-fledged entertainer, she officially changed her name to Lisa Beaumann in June of 1992. Lisa is best known to the gay ommunity as “one of the original ladies of Oz” on Bourbon Street, where she performed for a quarter century under the direction of the late Tommy Elias. Lisa excelled at illusions, and became known for her fabulous impersonations of Liza Minnelli, Judy Garland, and Carol Channing. That led Tommy and his brother, Michael, to feature her in Glitz, a theatrical showcase of The Art of Female Impersonation that played at Harrah’s Casino and other local theaters. For the past 18 years, she has also served as the emcee and DJ at The Corner Pocket Bar, filling the high heels of the late Lee Fetherston (Ms. Fly). Her official bio from Oz states that Lisa is “The first person in the city of New Orleans to achieve all of the city's highest drag honors - reigning as: Southern Decadence Grand Marshal XXXIII (2005 & 2006), Easter Grand Marshal VI (2005) and King Cake Queen IX (2002). She received a proclamation from former Mayor of New Orleans, C. Ray Nagin, in honor of her reign as Grand Marshal of Southern Decadence. Lisa also served on the Board of Directors of the Gay Appreciation Awards, an annual “Best of the Community” program founded by Rip & Marsha Naquin of Ambush Magazine. In the seventies and eighties, Lisa was a pioneer in the “art of illusion.” She gave back by mentoring aspiring performers—acting as drag mother to Bianca Paige and encouraging new talent. A public Celebration of Life will be held at The Corner Pocket, 940 St. Louis St., New Orleans, on Saturday, December 15, 2018, from 3:00 p.m. – 5:30 p.m. The Very Rev. Bill Terry, Rector of St. Anna’s Episcopal Church officiating. In lieu of flowers, contributions to the Lisa Beaumann Memorial Fund would be greatly appreciated to help offset funeral expenses. Contributions may be delivered at the service or mailed to Michael Elias, Esq., ?The Corner Pocket, 940 St. Louis St, New Orleans, LA, 70112. JACOB SCHOEN AND SON is in charge of arrangements. To view and sign the guest book, please visit www.schoenfh.com.